Christopher died in August of 1907 and was buried at the family church in Sande. Gaataug who is a musical composer and very talented. the family church in Sande, Norway. who Martin adopted and they took the name of Grimsrud. Oscar born 1896 and Fred Henry born 1900. 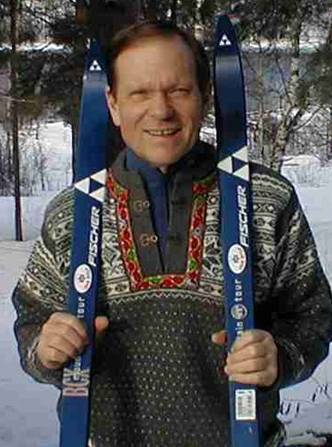 MARTIN GRIMSRUD IN AMERICAN. ON THE RIGHT WITH HIS FAMILY AND WIFE RANDI AFTER 1881. Married Gustive Amundsen and died 11 April 1922 The third of 13 children of Christopher and Hanna. Pettrine had one child before her marrage to Gustav, (five children in all). beside her in Vertre Gravelund, Oslo. worked in the rail road office. They had two sons. wife Gunda Lie born 28 August 1874 and died 28 October 1975 lived on the east side of the Grimsrud farm. Thoralis 1896, Helena 1898, Rosa 1899, Kristoffer 1901 and Ingeborg 1911.
married 29 April 1901 to Karoline Dorthia Christensen. 1913, Gudrun Elise 1916 and Rolf Dagfin. (NOTE: MANY OF THE STORIES AND FACTS ABOUT THE LIFE OF HANS C.
on North 5th St. in Superior, Wisconsin. They had 7 children. FOR MORE INFORMATION ON THE FAMILY OF CHRISTIAN C. GRIMSRUD, CLICK HERE. 7 December 1899 and they had six children. 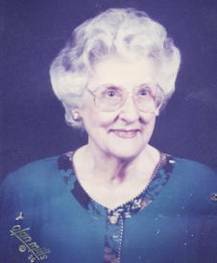 FOR MORE INFORMATION ON THE FAMILY OF HANNA MARIE GRIMSRUD, CLICK HERE. 12. 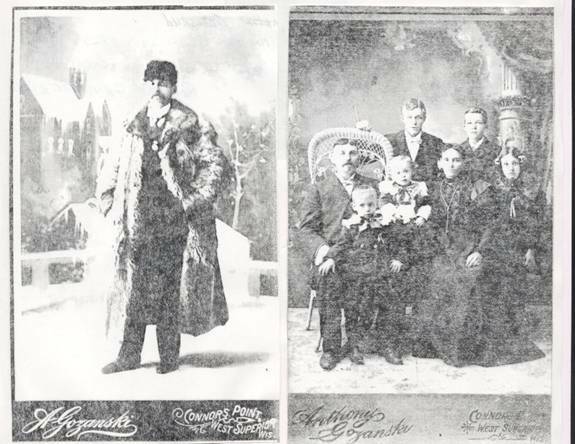 PETTER C. GRIMSRUD born 25 February, 1882, was the twelfth child of Christopher and Hanna. 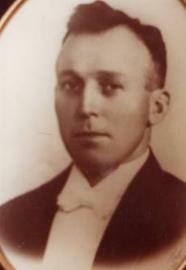 He married Ellen Berglojt Nielsen born 4 September 1896. Petter was in the wholesale meat business. He had 3 children. FOR MORE INFORMATION ON THE FAMILY OF PETTER C. GRIMSRUD, CLICK HERE. 13. 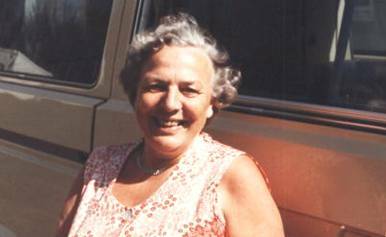 GUSTAVA GRIMSRUD born 25 September, 1885 was the thirteenth and last child of Christopher and Hanna. 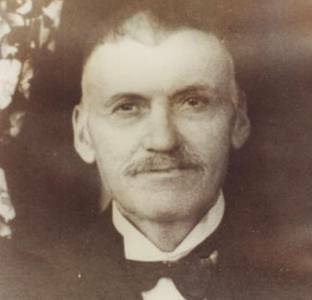 Gustava married Edward E. Widness 23 June 1908 at Superior, Wisconsin. FOR MORE INFORMATION ON THE FAMILY OF GUSTAVA GRIMSRUD, CLICK HERE. I have also written my autobiography which can be accessed at our website on the Grimsrud Family History page. 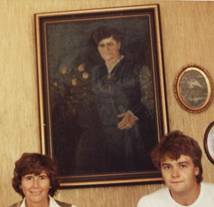 Kari Hoven when we visited her at her home in 1983.
countless cups of coffee and Norwegian open faced sandwiches. reason to feel close to her. 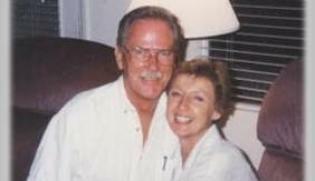 George and Lil Grimsrud at their home in Las Vegas, Nevada. from my office. It's more dependable! interest to the expansion of this family treasure. 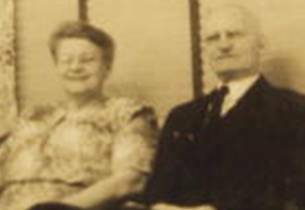 TO GO BACK TO THE GRIMSRUD FAMILY ANCESTORS PAGE, CLICK HERE. is where the tourist office is today. our Norwegian connection Trygve Trondsen! So, thank you so very much Grace! Grace passed away 10 February 2001 and I truly do miss her.